Do you recall that childhood enjoyment of opening a new coloring book and pulling out your box of crayons? Maybe you can even smell the scent of the crayons right now as you remember. Looking back, you can see there was creativity and relaxation built in to an activity we just thought of as fun. Why leave that joy in childhood? Adults can join in on the fun. If you’ve noticed, adult coloring books are popular these days—they’re everywhere! Margaret Feinberg has noticed that too, and actually there is a series with her name on it as the author. But she wasn’t just jumping on a trend. She had a deeper motivation. 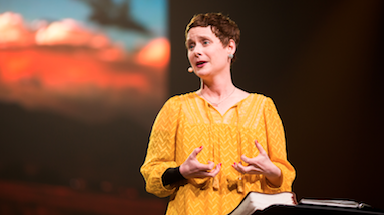 I met Margaret this past spring when she spoke at the leadership conference Catalyst Cincinnati. She writes books and speaks across the country, spreading joy wherever she goes. But her joy isn’t flippant—it’s a choice. Margaret has decided to use joy as a weapon to fight back against the challenges in her life. Part of what brings her joy is studying the Word of God and sharing his Word with others. She found a new way of doing that through the unexpected path of adult coloring books. It happened like this: Margaret was with friends in a little shop in Ashville, North Carolina, and noticed a bunch of coloring books labeled “adult.” She wondered what they were, and her friend said it was all the rage. True, Margaret began to see more of them, but she also had another observation: many of them were using Eastern religion in their pages. Those Scriptures formed her first coloring book, Live Loved. And then Live Free, Live Fearless, and Promises of Blessing have followed. Even her new yearlong devotional book, Flourish, has incorporated coloring pages within. But the books are for more than coloring. Each also gives space for people to journal, reflect, and interact with Scripture, encouraging people to memorize God’s Word. 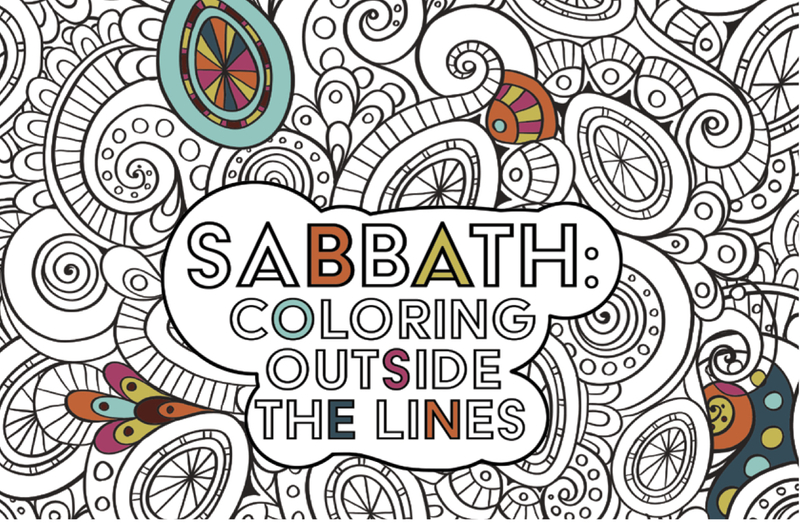 I told Margaret that such a coloring experience felt, for me, like a wonderful Sabbath activity—slowing down, dwelling on the Bible. She agreed. • She doesn’t work on the way back from a trip. So whether we color a page or take a walk or just take a nap—I know Margaret would encourage us all to enjoy the replenishing rest of God this week. Previous StoryCan I Pay You Back?